There are multiple methods for deploying whole-disk encryptions used at UCSF Medical Center and UCSF Campus. Below is a list of Computer Encryptions in ordered by most well-used. For additional information regarding Encryption, visit our Encryption FAQs. If you need help reviewing your system's encryption status or if you find that your system is not encrypted, please contact our UCSF IT Service Desk. Click on "BitLocker Drive Encryption"
Under "BitLocker Drive Encryption - Hard Disk Drives", if you see the following text: "Windows (C:) On", then your hard drive is encrypted. 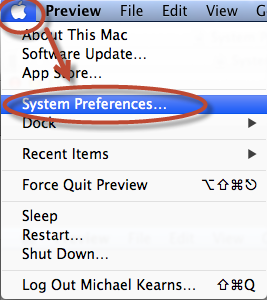 In the Data Protection Window, click on the icon of the hard drive (aka System Storage). Under "System Storage", if you see the following text: "OSDisk (C)" and "In compliance" underneath, then your hard drive is encrypted. On the left pane, choose "PGP Disk" and "Encrypt Whole Disk"
On the right, under "Encrypt Whole Disk or Partition" and under Select disk, there will be drives listed. Viewing the "C:" drive, if you see an icon of a silver padlock inside of a blue box, then your hard drive is encrypted. Click on the "Apple" in the upper-left corner and go down to "System Preferences"
Click on "FileVault" - Your hard drive is encrypted if you see the following text: "FileVault is turned on for the disk '"Macintosh HD"'." 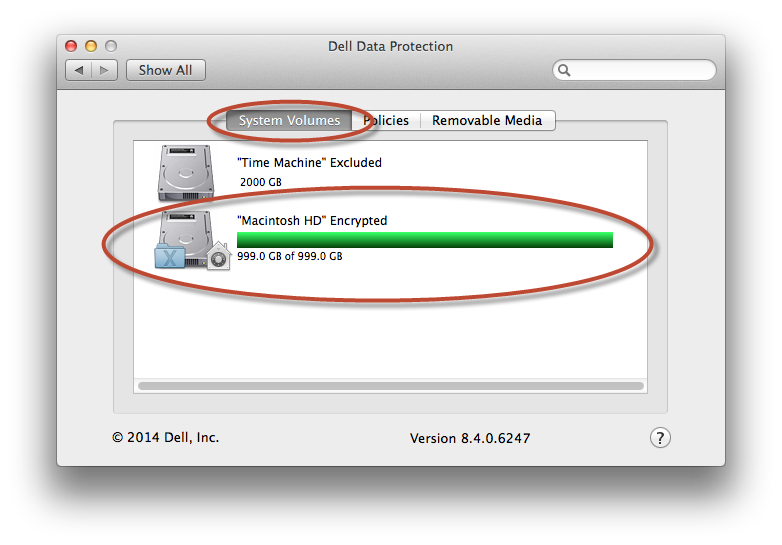 (*PLEASE NOTE: The name of your hard drive may vary from the "Macintosh HD" example." Click on "Dell Data Protection"
Open your "Applications" folder and location the "Encryption Desktop" Application, then double-click to open.